Always wait for the invoice before making the payment. After you have made your purchase, please send me an email regarding the payment method that you will choose. 2- Bank Cheque of Pakistan banks Online Transfer. WE WILL NOT BE RESPONSIBLE FOR ANY DAMAGE/LOSS DONE BY POSTAL SERVICES. PROOF OF REGISTRY IS ALWAYS RETAINED. SCAN WILL BE PROVIDED TO THE BUYER ON REQUEST. Kindly make a combined payment for all your items. If you have made a partial or wrong payment kindly wait for us to respond. We Always send to REGISTERED AIR MAIL. NON PAYING BIDDERS WILL GET A NEGATIVE FEEDBACK. 1-ALL ITEM ARE PACKED BE CAREFULLY. 2-WE WILL NOT BE RESPONSIBLE FOR ANY DAMAGED AND LOOS LETTER DONE BY POSTAL SERCIVES. 3-WE DO NOT POST ISRAEL AND AFGANISTAN. 4-PLEASE DON'T SEND ME PAYMENT WITHOUT I SEND TO YOU INVOICE ON DELCAMPE. 5-PLEASE WAIT FOR MY INVOICE BEFORE MAKING PAYMENT. 6-WE SHIP ITEM WITH IN A 2 AND 3 WORKING DAYS AFTER RECEIVING PAYMENT. 7-ITEM WILL BE SHIP BY PAKISTAN POST. 8-CONDITION OF ITEM AS PER SCAN 200dpi AND AS DESCRIBE. 9-WE ALWAYS SEND REGISTERED POST.BUYER WILL PAY. 10-PAYMENT MUST BE RECEIVED WITHIN 15 TOTAL DAYS. ATTENTION! Item is located in Pakistan that's why Israeli and Afghani buyers pls ask me first before purchasing and bidding. 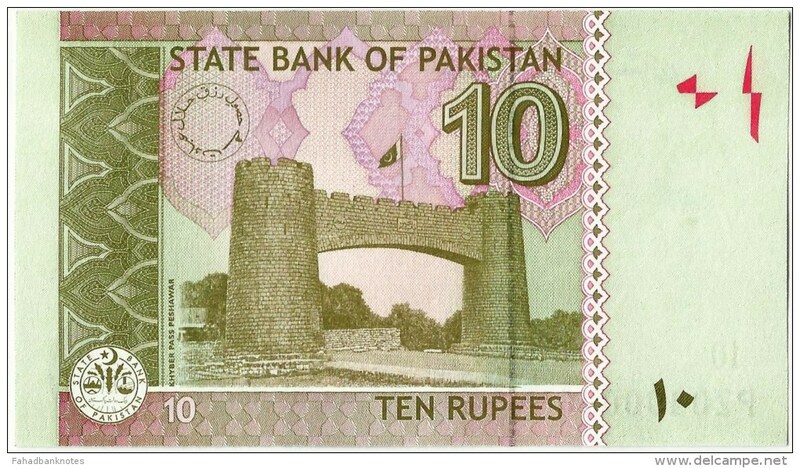 3- Cash, Bank notes acceptable for small payments on Buyer's own risk by Registered Air Mail, please inform me before sending after receiving cash item will be sent to BUYER. 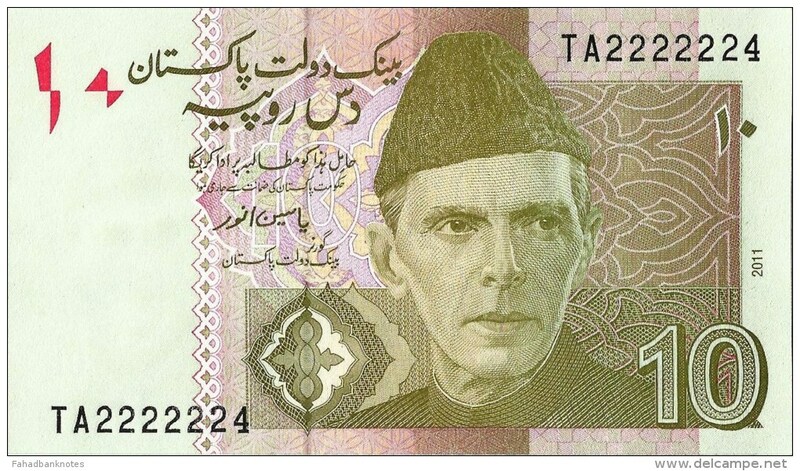 2008 PAKISTAN RS 5 SHAMSHAD AKHTAR LOW SERIAL FANCY NUMBER CJ 0000072 UNC.